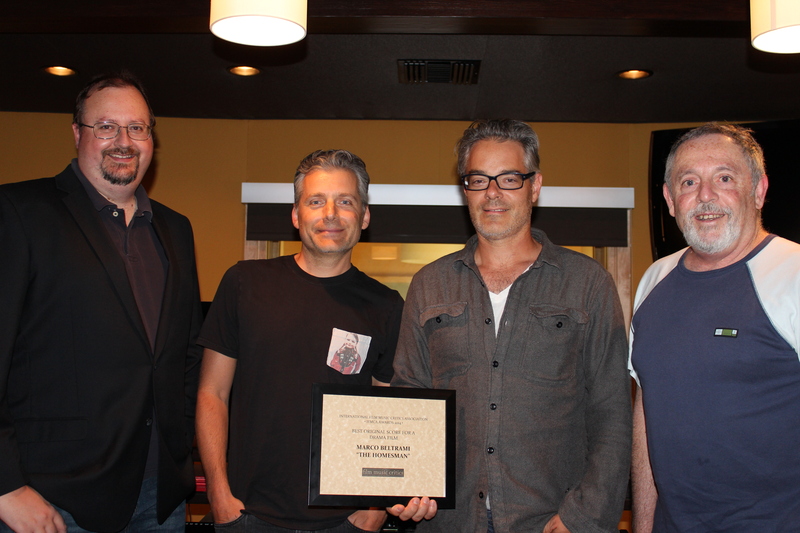 Composer Marco Beltrami has been presented with the International Film Music Critics Association Awards for Best Original Score for a Drama Film by IFMCA members Jon Broxton, Craig Lysy and Kaya Savas, for his score for the dramatic western The Homesman. This is Beltrami’s first IFMCA Award, from 13 previous nominations, going all the way back to Scream 2 in 1998. The other nominees in the category were Alexandre Desplat for The Imitation Game, Gustavo Dudamel for The Liberator, Alexandre Desplat again for The Monuments Men, and Jóhann Jóhannsson for The Theory of Everything. 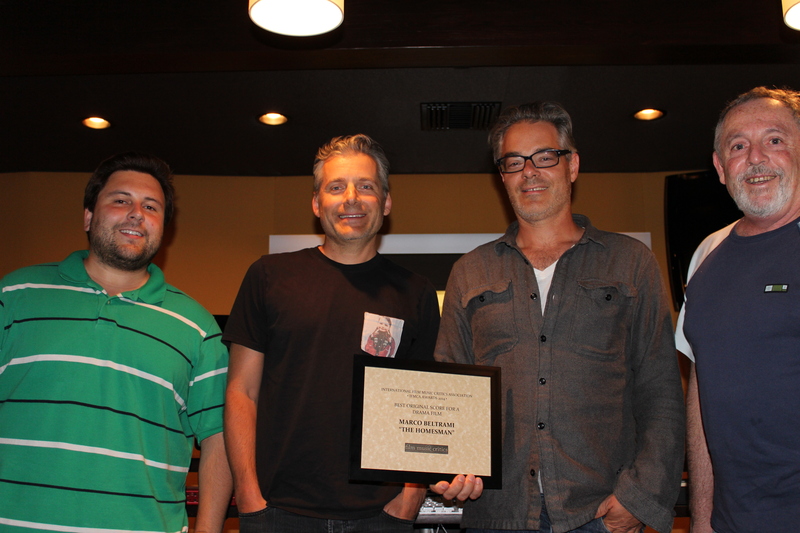 Beltrami was also nominated for Film Composer of the Year, but was beaten to that award by Desplat. 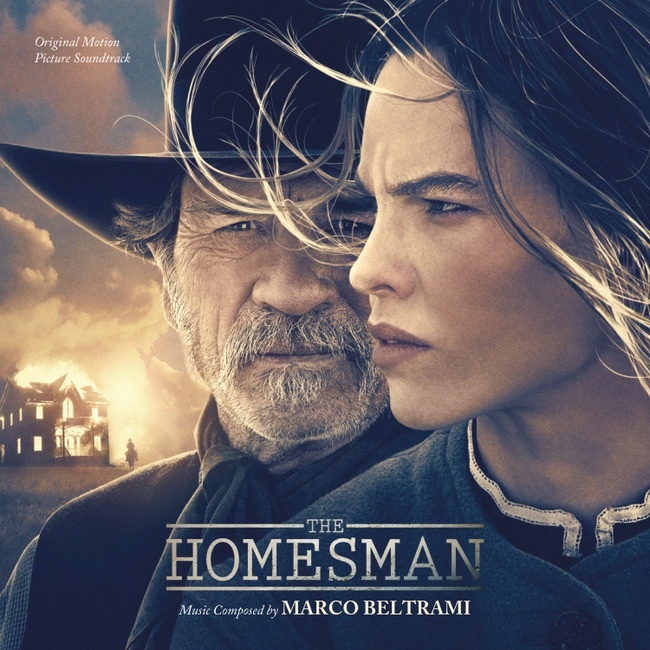 The Homesman, directed by and starring Tommy Lee Jones, is based on the acclaimed novel by Glendon Swarthout, and is set in Nebraska in the late 1850s, in the earliest days of the American expansion west. Hilary Swank plays Mary Bee Cuddy, a middle-aged spinster from New York recently relocated to the West in a last-ditch attempt to find a husband, who agrees to help transport three young women across several hundred miles of rugged and dangerous terrain to a church in Iowa, after the women begin to go insane due to the desperate hardships they face. Beltrami and his regular collaborator Buck Sanders crafted a compelling, fascinating, wholly unique score for the film, which uses the sounds of nature and the wind itself to capture the bleakness and isolation of the film’s setting. The composers rigged a huge aeolian harp, which they constructed out of an old upright piano with strings stretched 175 feet up the hill outside their Malibu studio, attached to large water tanks. When the wind blew through the canyon, Beltrami was able to literally “tune the wind” and record its sound, either by playing the piano keys, or by capturing the vibrations of the wires through hydrophones placed inside the water tanks. This was augmented by a type of harmonic slide guitar that Sanders invented, which created unusual wailing, shifting tones that could be bent in eerie ways, and a small orchestral ensemble consisting of a string quartet, various guitars, banjos, and mandolins, and a turn-of-the-century melodeon, most of which Beltrami recorded outside in the sunshine in order to capture the ambient sounds of nature alongside his music. 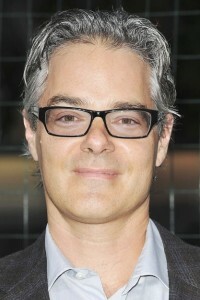 Marco Beltrami was born in Long Island, New York, in October 1966 of Italian heritage. He graduated from Brown University and studied at the Yale School of Music, before moving to the USC Thornton School of Music in Los Angeles, where he studied under legendary composer Jerry Goldsmith. After a few years of writing classical commissions, music for USC student films, and a handful of low-budget feature films, Beltrami burst onto the film music scene in 1996 when he wrote the score for Wes Craven’s smash hit horror comedy Scream, at the age of just 29. Since then, Beltrami has become firmly established as one of Hollywood’s most versatile and prolific young composers, especially in the horror/thriller, sci-fi and action genres. His works include the scores for box office successes such as Blade II (2002), Terminator 3: Rise of the Machines (2003), I, Robot (2004), Live Free or Die Hard (2007), The Wolverine (2013), and all the Scream sequels, as well as fan favorites like Hellboy (2004), Knowing (2009) and Soul Surfer (2011). Beltrami is a two-time Academy Award nominee, for 3:10 to Yuma in 2007 and The Hurt Locker in 2009, and was nominated for a Primetime Emmy Award for the TV movie David & Lisa in 1998. Click here to watch “The Composers Speak”, a 20-minute interview with Beltrami and Sanders accepting the IFMCA Award and talking about the score.